Vitamin D deficiency is one of the major concern health behaviour condition for pregnant women in a majority of the Asiatic countries and it is evident from recent research articles that majority of the population of these countries are not even aware of the need of vitamin D. Further, in gestational period vitamin D deficiency has been seen to affect the neonate however, very less information are being provided to such mothers having low rate of vitamin D in their body. Therefore, this systematic review assignment was carried out so that evidence from recent research articles could be collected and by collecting and analyzing data from these studies, the rate of such deficiencies and interventions could be obtained . 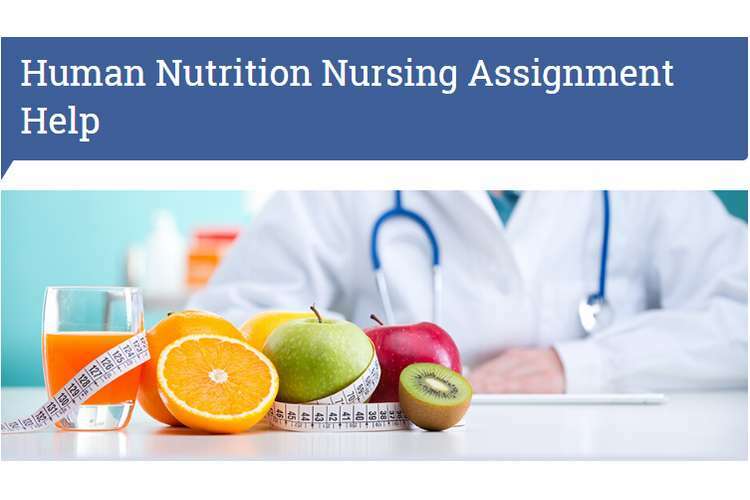 The aim and research question of the assignment will also be developed so that answers related to such deficiency and its association with neonatal complication prevalently in developing countries could be understood. The primary aim of this section will be understanding the association of Vitamin D deficiency with pregnancy and neonatal complications in developing countries and for this purpose, the systematic review approach will be used to determine latest research studies. How the deficiency related to vitamin D affects pregnancy and causes neonatal complications in developing countries? The hypothesis of this research article will be associated with the research aim and question as the primary aim of this research is to determine the connection between vitamin D deficiency and neonatal or pregnancy-related complication. H1: Vitamin D deficiency is the primary reason for the pregnancy-related complications and neonatal complications in most of the developing countries around the world. H0: Vitamin D deficiency is not the reason behind pregnancy-related complications or neonatal complications around the world. In the previous section, systematic review was used to find research articles based on the research question and in the course, several research articles related to this was found that helped to understand the prevalence of this deficiency in developing countries. Therefore, in this research proposal, systematic review will be used as a method to find research papers related to the research aims and hypothesis and from those articles, few competent articles will be selected to determine the answer to the research question. Systematic review is the method in which, articles from several databases are collected using permutation and combination of several specific keywords and then the articles found are sieved through several inclusion and exclusion criteria . These criteria increase the reliability, acceptability and authenticity of the research and make scope for the future research. For this research question, a systematic review has been chosen as the method and due to those databases such as PubMed, CINAHL, and Cochrane and google scholar will be used to search for latest research articles. After collecting the results, articles will be selected using several inclusion and exclusion criteria. In this course, the inclusion criteria will be English language, articles published in last 5 years, primary research articles, and with a proper methodology and data collection section, whereas the exclusion criteria will be research articles more than 5 years and having abstract or descriptive theories . Therefore, in this method, the participants will be the research articles that has been selected for the review process in this research, and the study type will be an observational and literature review. Researchers mention that data collection method in systematic review method should be done depending on the population or type of study used in the original research articles as the reliability and authenticity of the research is intact in such methods . Therefore, all the data of selected research articles will be combined in this research assignment and depending on their prevalence, analysis will be conducted. Besides these, ethical considerations are the most important aspect of a systematic review and hence, to make the research ethically competent, all the ethical considerations will be taken into consideration. All those papers included in the study should comply with the ethical standards and should have the approval of any reputed organization . Further, all the places where the research was conducted was provided with details related to research and the participants were asked for consent permissions or not, should be taken into consideration. This will help to increase the authenticity of the paper and people round the world will be able to trust on the business research findings as participants were informed about the interventions and they did not went through any harm in the course of the research . This is the most crucial section of this research as the papers included for the systematic review were primary research articles and varied in their type of study or chosen research such as few were qualitative and few were quantitative study. Therefore, while analyzing the research findings, the major findings of the researches and the intervention they used to obtain answer of their research question will be considered . After that, all the studies and their outcomes will be collected and they will be combined to provide a compact study result and then the result will be analyzed to provide a holistic description of the research question and thebresearch findings. After that, all the aspects of the research papers will be taken into considerations and present bias will be assessed so that the authenticity of the research assignment can be determined. After analyzing all the aspects, and research findings, the research answer related to the research question will be derived from the systematic review research analysis. Systematic review research approach has several strength and limitations using which the reliability and authenticity of the research could be enhanced. The advantages of using systematic review as the research process includes analysis of clinically relevant research interventions without conducting any research in real scenario . Therefore, the time and expenses of doing such research in real scenario is avoided and a proper statistical analysis on pre-conducted research findings could be done to find an authentic and applicable research data. Further, the statistical data analysis standards are helpful in determining the removal of bias and proving genuine research results . Finally, it increases the efficiency and applicability of the research findings to a larger population as it includes a larger population or subject on whom the research intervention is applied and hence, it provides a sense of security to the researchers to conduct the research in real scenario . On the other hand, the limitations, of the research approach includes unavailability of research articles within the required time frame as older or irrelevant literature decreases the authenticity and acceptability of the research . Besides this, the exact source of research heterogeneity is not detectable and the researchers suffer from complications in detecting heterogeneity. Further, it also affects the statistical analysis of the paper due to variations in research process, study population and research data. Deficiency of vitamin D deficiency is one of the major concern of developing countries as maximum of the pregnant women suffering from this deficiency are unaware of the requirement of vitamin for their and their children’s development. This research therefore used systematic review method to find research articles and find competent research articles so that research papers compatible to proposed research question and hypothesis could be found. Further the method of data collection and market analysis was also included in this proposal so that conduction of research becomes authentic and reliable and can be applied to future research studies. 1. Aghajafari F, Nagulesapillai T, Ronksley PE, Tough SC, O’Beirne M, Rabi DM. Association between maternal serum 25-hydroxyvitamin D level and pregnancy and neonatal outcomes: systematic review and meta-analysis of observational studies. Bmj. 2013 Mar 26;346:f1169. 2. Bener A, Al-Hamaq AO, Saleh NM. Association between vitamin D insufficiency and adverse pregnancy outcome: global comparisons. International journal of women's health. 2013;5:523. 3. Prince M, Bryce R, Albanese E, Wimo A, Ribeiro W, Ferri CP. The global prevalence of dementia: a systematic review and metaanalysis. Alzheimer's & Dementia. 2013 Jan 1;9(1):63-75. 4. Flegal KM, Kit BK, Orpana H, Graubard BI. Association of all-cause mortality with overweight and obesity using standard body mass index categories: a systematic review and meta-analysis. Jama. 2013 Jan 2;309(1):71-82. 5. Goyal M, Singh S, Sibinga EM, Gould NF, Rowland-Seymour A, Sharma R, Berger Z, Sleicher D, Maron DD, Shihab HM, Ranasinghe PD. Meditation programs for psychological stress and well-being: a systematic review and meta-analysis. JAMA internal medicine. 2014 Mar 1;174(3):357-68. 6. McCambridge J, Witton J, Elbourne DR. Systematic review of the Hawthorne effect: new concepts are needed to study research participation effects. Journal of clinical epidemiology. 2014 Mar 1;67(3):267-77. 7. Peek ST, Wouters EJ, van Hoof J, Luijkx KG, Boeije HR, Vrijhoef HJ. Factors influencing acceptance of technology for aging in place: a systematic review. International journal of medical informatics. 2014 Apr 1;83(4):235-48. 9. Moher D, Shamseer L, Clarke M, Ghersi D, Liberati A, Petticrew M, Shekelle P, Stewart LA. Preferred reporting items for systematic review and meta-analysis protocols (PRISMA-P) 2015 statement. Systematic reviews. 2015 Dec;4(1):1. 10. Bartolucci AA, Hillegass WB. Overview, strengths, and limitations of systematic reviews and meta-analyses. InEvidence-based practice: Toward optimizing clinical outcomes 2010 (pp. 17-33). Springer, Berlin, Heidelberg. 11. Akolekar R, Beta J, Picciarelli G, Ogilvie C, D'Antonio F. Procedure?related risk of miscarriage following amniocentesis and chorionic villus sampling: a systematic review and meta?analysis. Ultrasound in Obstetrics & Gynecology. 2015 Jan;45(1):16-26.